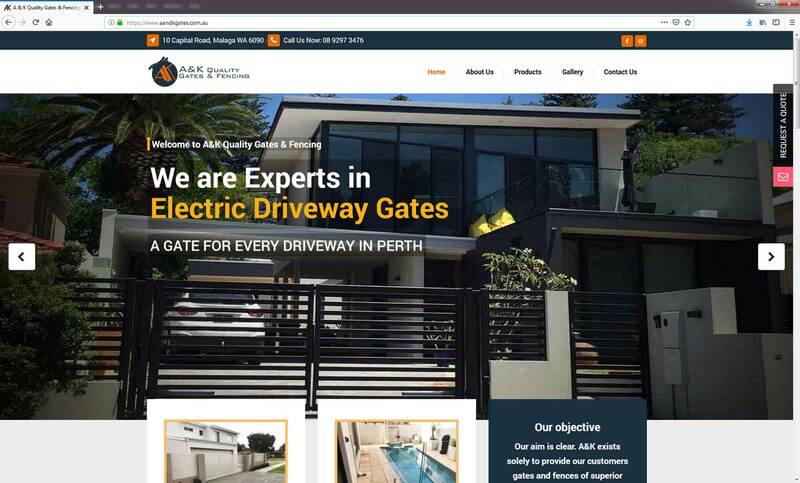 We at Perth We Agency are expert in Gates & Fencing Website Design in Perth. 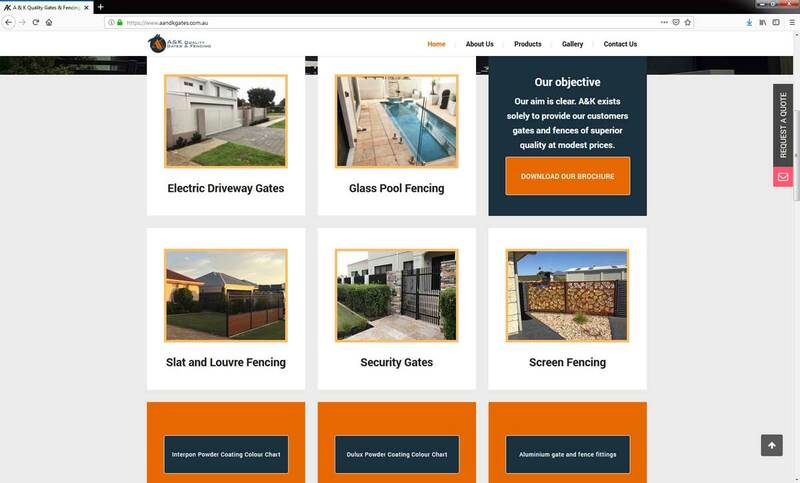 If you have a “gates and fencing” business and need a website, we are ready to help you. 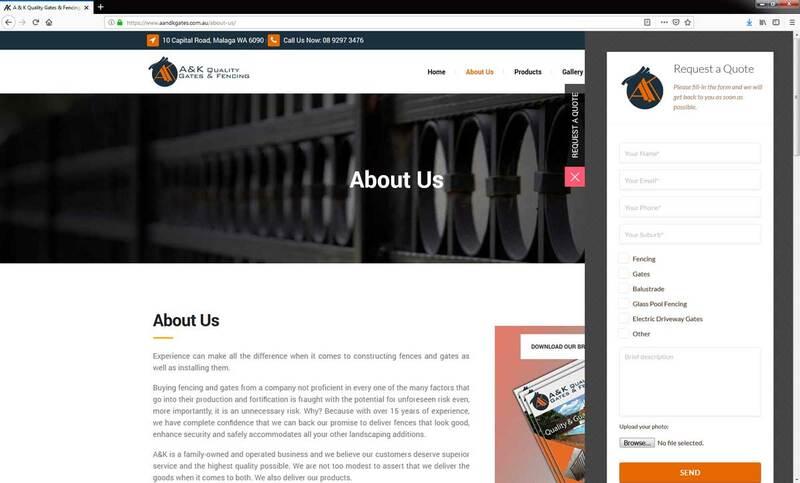 We have designed and developed this website for “A&K Quality Gates & Fencing”. A&K offers a diverse choice of gates and fences that combine aesthetics with utility. Whether you are in the market for an idiosyncratic enhancement around your residential area or an elegant extension of your commercial property, you are assured of receiving gates and fences with good quality and require minimum maintenance.